S.A.I. Solutions is part of a worldwide European – Egyptian venture founded in Austria in 1952. S.A.I. Solutions is specialized in indoor modern furniture and provides a wide range of furnishing solutions for the hospitality industry as well as stylish modern residential furniture. SAI-Solutions (Siro Advanced Industries S.A.E.) is part of a European – Egyptian venture established in 1952. SAI-Solutions is specialized in indoor modern furniture and provides a wide range of furnishing solutions for hotels & resorts industry as well as stylish modern residential furniture. 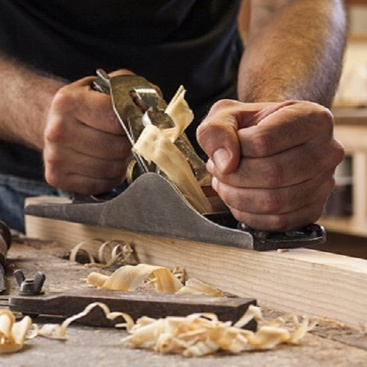 It all started in 2004 with the establishment of the first factory specialized in furniture components and wood profiles. In 2005 SMART FURNITURE brand was introduced providing modern furniture solutions for both residential and hospitality businesses. As demand grew at a significant rate over the course of years, in 2008 we inaugurated SAI-Solutions a modern wood furniture manufacturing plant to meet the growing demand in both local & export markets. It is worth noting that in 2008 our first factory was the IMC’s (Industrial Modernization Center) success story presented to the Egyptian Minister of Industry and Foreign Trade. And in 2009 SAI-Solutions (Siro Advanced Industries S.A.E.) was the IMC’s success story presented to the Egyptian Minister of Industry and Foreign Trade. SAI-Solutions succeeded in establishing a solid reputation as a modern furniture manufacturer with worldwide proven experience, as it accomplished many projects for major international, regional and local brands. To name but some of these brand; Best Western, Ramada Inn, Holiday Inn & La Quinta in USA, Saudi Bin Ladin Group & Qatar Foundation in the Middle East area and Steigenberger, Movenpick, Jaz & Iberotel in Egypt. As Chairman of SAI-Solutions, my main focus is on opening new markets and establishing companies that provide the best service for those markets, setting a solid structure and assigning the right personnel to manage them. I keep close follow-up on operations and intervene in major issues and challenges to help generate the right solutions. One of the major challenges we face is how to maintain our reputed quality levels with the least cost. One of the best solutions we adopted is to truncate jobs into smaller tasks that could be delegated to independent contractors hired to do that job. This move allows us to focus our investment on our core business, provide us with significant flexibility in different areas and helps the community by providing more business opportunities to small business entities. Our survival depends largely on keeping track of different markets’ trends and changes and adopting to those trends and changes swiftly with least costs. Thus we are always alert to different markets’ variations in tastes, deviations in demand …etc and adopt to the new situations promptly though harmonic coordination between departments, suppliers, contractors and distributors. Finally, I want to express my gratitude to our customers worldwide who trust our brand and remain loyal to it. You truly are the motivator behind our success and growth. I want to express my gratitude to our partners, agents, distributors, and employees for making SAI-Solutions what it is today. And, I look forward to many more decades of greater success and development for SAI-Solutions. 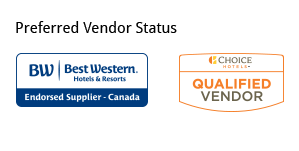 SAI Solutions is a qualified vendor for Choice Hotels. Our diverse designs and immense manufacturing capabilities opened the door to partnering up with this corporate giant that manages over 6,300 properties worldwide. SAI Solutions is an endorsed supplier for Best Western Hotels. Our company has completed many Best Western new builds and renovations. Best Western is one of the world’s largest hotel chains, with 4,195 hotels in over 100 countries and we are very honored to be one of their endorsed suppliers. Our production & quality assurance system is set and optimized by German furniture manufacturing experts Schuler-AG-Germany. Administrative system is ISO 9001:2008 Certified by Royal Cert – Germany.